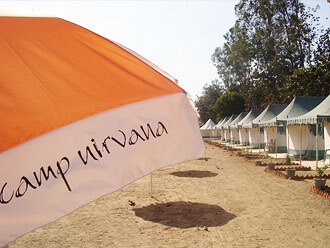 Camp Nirvana is pleased to introduce luxury tented Camp “Camp Nirvana Kumbh Haridwar” during The Maha Kumbh Mela Haridwar from January to April 2010. We will provide clean and comfortable accommodation to pilgrims & tourist during the Kumbh Mela 2010 Haridwar with all the essential facilities. Our aim is to give pilgrims as well as foreign tourist a real experience of Maha Kumbh Mela and we will organise escorted walks to Kumbh Mela area to participate/see the various events. 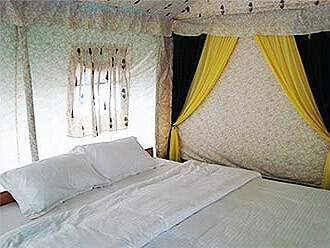 Accommodation in spacious all weather proof Luxury Tents (24’ X 12’). Attached bathrooms with basic toiletries. 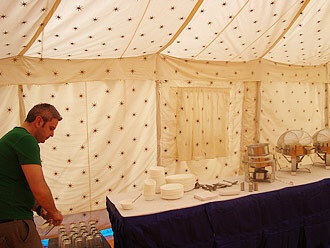 Multi cuisine pure vegetarian dinning facility in a separate large tent. 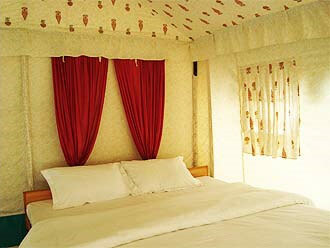 Separate activity area for Aarti, Meditation & Yoga lessons. 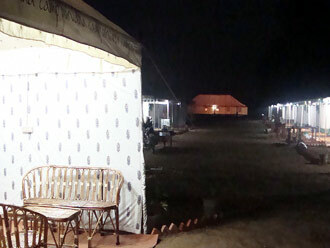 Escorted walks to Kumbh Mela area to participate/see the various events. 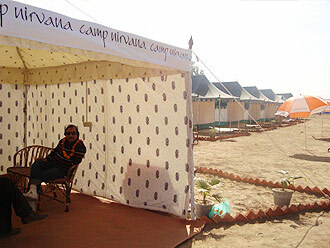 STD/ISD calling facilities at the Camp. Ayurvedic massage & Astrologer is available on advance notice. Important : Non Vegetarian & Alcohol is strictly prohibited in our Camps as Haridwar is one of the holiest cities for Hindu’s. The largest religious celebration on this planet - Maha Kumbh Mela is Hindu's most important religious festival and millions of Hindu’s take part at every Kumbh Mela. The next Maha Kumbh Mela is in holy city of Haridwar from January - April 2010 and more then 60 million devotees, saints, yogis and priests from all corners of the India and the World are expected to take part in this biggest religious celebration on the earth. The holy city of Haridwar is also one of the four places where the nectar fell from the Kalasha and here the holy River Ganga enters in the plains from Himalayan Mountains. The main reason to take part in Maha Kumbh mela festival in Haridwar is to take dip in holy river Ganga and the holy dip in during the Maha Kumbh said to takes human from the endless cycle of rebirth and attained Moksha. There are many bathing ghats in Haridwar and the main is Har Ki Pauri. The origin of the Maha Kumbh is very old and associated with Samudramanthan (churning of the primordial dea). During the Samudramanthan pot of nector of immortality (Kalasha) was recovered and for this pot of nector a tense war between Gods (Devtas) and Demons (Asuras) ensued. During this time Demons were more powerful then Gods and to prevent the Amrita Kalasha being forcibly taken into possession by Demons, its safety was entrusted to the 04 Gods Brahaspati, Surya, Chandra and Shani. To hide the Kalasha from Demons, Gods ran away and learning the conspiracy of Gods, Demons turned ferocious and chased the 4 Gods running with Amrita Kalasha. The chase, lasted 12 days and nights during which the Gods and Demons went round the earth and during this chase, Gods put Amrita Kalasha at Haridwar, Prayag, Ujjain and Nasik. To commemorate this holy event of the Amrita Kalasha every 12 years Maha Kumb Mela held in all four holy places -Haridwar, Prayag, Ujjain and Nasik. According to other Pauranic legends, during the fight the Amrita Kalash being knocked, out of which Amrita being put at 4 places and Maha Kumbh Mela is celebrated all the four places where Amrita fell down.